All change at Jerwood Gallery? 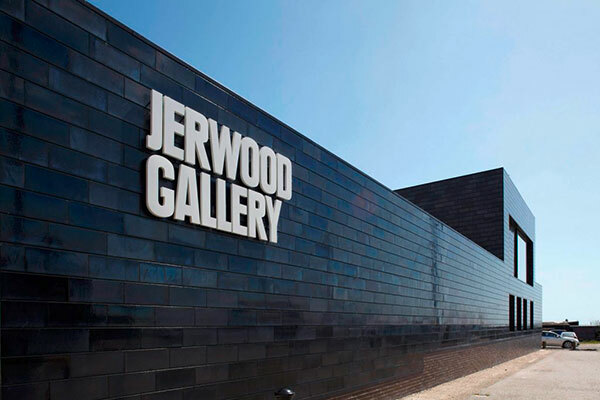 Last weekend the news broke in the national papers that changes were afoot at the Jerwood Gallery, which appears to be set to lose the collection provided by the Jerwood Foundation. 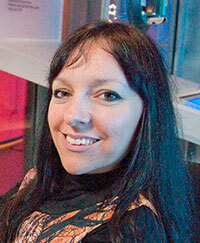 HOT asked Jerwood Gallery trustee, Esther Fox, to give her side of the story. I was delighted and felt privileged to be asked to join the Board of Trustees for Jerwood Gallery last summer. I was born in St Leonard’s and grew up here attending Hastings College of Arts and then going on to study at Winchester School of Art. When I returned from Winchester, Hastings and St Leonards was still very much in decline but the arts community was thriving. The Jerwood Gallery built on this inherent creative lifeblood, but now shone a spotlight on the town in a way that hadn’t been done so before. This happened by bringing internationally significant art works to the town, drawing attention from the UK press, as well as providing local people with opportunities to see works that might otherwise only be accessible in London or other major cities across the UK and beyond. The most exciting of programming, I believe, was through the Jerwood Gallery’s regular temporary exhibition programme. Over the last year Jerwood Gallery has been in negotiations with Jerwood Foundation, and the Jerwood Collection leaving the gallery was always a mutually agreed part of these negotiations. With the collection leaving the gallery, it offers an exciting programming opportunity to maximise the use of the entire building. There are very many people committed to ensuring the Jerwood Gallery continues to flourish. It is now an essential component of the DNA of Hastings and St Leonards. The Jerwood Foundation actively supported Jerwood Gallery in becoming an independent charity and we are proud to be one of Arts Council England’s National Portfolio Organisations. This has given the gallery a strong foundation on which to build. Since becoming a trustee I’m also now much more familiar with the gallery’s learning and outreach programmes. These too are becoming worthy of national notice. Therefore there are many reasons to continue to celebrate the gallery and what it has done for Hastings, but perhaps more importantly, be excited and optimistic about what yet can be achieved. I was surprised by some of the negative comments and ignorance about why and on what basis the gallery was built. It is my understanding that the Jerwood Foundation built and funds the Jerwood Gallery. It has a lease from the Foreshore Trust, whereby if it decides to vacate, the building reverts to the Trust (Hastings Council). The Foundation is not a charity and for tax reasons can be established wherever it decides. But its money is used for supporting various artistic activities such as performance spaces, exhibitions and arts prizes, and the e Jerwood Space near Waterloo. Although it was built to house the collection, there was never a promise that the collection would remain permanently in the building. As the collection is constantly growing, this would anyway not have been feasible. I agree with Erica, it has some good work but it isn’t an outstanding collection. So if it can show more different work, great! There was never a hope, let alone a promise that the gallery would sort out all of Hastings’ many social, transport and financial problems, as if any gallery could do such a thing. It was intended that it would be enhance local cultural and educational development, raise the profile of Hastings, raise the spending per tourist visit; create a number of jobs, both within the gallery, but more in services such as in retail, tourism and restaurants. Locals get reduced rate entry and everyone gets free entry on the evening of the first Tuesday of every month. It is much used by local schools and seems to be developing an educational outreach programme. The indirect government funding for the development on the Stade was entirely predicated on the Jerwood development going ahead. This, as well as creating a more attractive space on what was an underused coach park and old toilets, also provides Hastings with a popular cafe, exhibition, performance and festival spaces, as well as great loos! Other places asked the Jerwood to come to their towns. The Foundation chose Hastings because it was such a deprived area. We are fortunate that they decided on Hastings and stuck by their decision in spite of sometimes libellous and even violent physical opposition by a small but vociferous minority and the Council gave so much support. We who actively campaigned for it from the beginning must be generally pleased that it has developed so well and continues to develop. Hopefully moving the collection will create and enhance further opportunities. Wow – I may have to revise my comment – what a situation! Its difficult to trust any organisation based in a tax haven. Since their original money came from our community, they should pay tax like everyone else. Not doing so says they do not feel any debt to our community. Nonsense of the sort this woman talks transparently avoids the truth. So good riddance. Jerwood: lose one one exhibition & gain for free a new Feb 14th onward at Ore Community Centre. Subject WHY a Golden Age of American Space Science discoveries ends the Einstein Era. “A single experiment can prove me wrong” Albert Einstein. Now a single experiment has become an Avalanche. Demonstrating yet again this time to millions of space mad kids that past success in space science, as in art, as in life is, no guarantee as to future. Brian Adams, Science Historian, born & based Hastings QTD. BSHS now thanks to Babs at Ore Community Centre Exhibitor & lecturer for an indefinite period 14th Feb onward. Jerwood is a handsome building which compliments the surrounding huts etc. However, not so sure the activities of this Gallery are really part of the DNA of the majority of Hastings residents. The fees to get inside this building are excessive. I am more concerned about the terms on which this gallery was virtually given to the Jerwood foundation which happens to be registered in a tax free haven in Liechtenstein. How long is the lease – do they pay anything to Hastings council (I understand they are not liable for council tax) And who paid for the construction of this building? These are some questions which need asking here. Whilst I’m VERY fond of the Jerwood permanent collection, and it looks beautiful on the walls of the award-winning gallery, I don’t think it’s a ground-breaking collection of 20th century art. Familiar and comforting, yes but not the finest of fine art collections. My favourite thing about the Jerwood is the building, and that’s not going anywhere. Hastings Borough Council is the leaseholder in case anyone wonders about that. Esther Fox’s article champions the temporary shows and the learning and outreach programmes as the way forward for the gallery. I think that’s exciting. Yesterday I saw a coach of excited school children going in. I often see this. It is a great facility for showing children of all ages to experience art and do activities. I think you may now have to diversify a bit to attract even more visitors. This article does not enlighten us as to why the Jerwood Collection is leaving the gallery. If its due to lack of numbers of visitors – that is because of the high entrance charges. I would have gone many times if the entry charges were £5. Initially the press portrayed the changes at the Jerwood as being a bad thing and even hinted at closure, so I was very pleased to read this article. I completely agree with Esther that this is a golden opportunity to make the gallery even better. As a regular visitor I have seen the permanent collection many times and often just visit the temporary exhibition space downstairs. It would be nice to see more work from local upcoming and established artists or art groups and perhaps change exhibitions more frequently to ensure members get better value for their annual fee and also to encourage visitors to visit the gallery more often. East Sussex and, in particular, Hastings and Rye has a wealth of artistic talent and the gallery now has the space to show some of it. Wow, that came from a familiar playbook – she’s spinning so fast she’ll fall over. I have never seen anyone so ‘excited’ about having something taken away. I have to point out that the Jerwood is not “part of Hastings’ DNA”. We existed before it came and I think we would survive without it. I seem to remember the reasons for supporting the Jerwood at the start were that it was going to sort out the trains, bring bags of money to the town and give local residents the opportunity to see famous art for free. Er… This is a comment from someone who *likes* the Jerwood gallery. Hate to think what the others will look like.